Since 2006 6G Web Design in Albuquerque has provided good old fashioned customer service to our ever-expanding client base. Whether you're looking for custom built web applications or just need to update an existing site, we'd love to hear from you and help get you where you need to go. Contact us today to discuss your web project. What Y'all Doing Over There? Eyeball pleasing, brand promoting, product and service forefronting, mobile displaying, subjectively satisfying, doozy of a design. API integrations and custom extensions. Modern frameworks building web applications. Popular cart software hosted on our servers? Assistance integrating with 3rd part carts? Paypal buttons for non-shopping cart software? No pay-per-click services here. Organic SEO focuses on increasing your keyword density, utilizing search engine friendly URLs, online directory listings, and generating backlinks. Experience with MailChimp, Constant Contact, iContact, and SendGrid. Let's get the list growing and the emails flowing. Virtual Private Servers, backed up daily, with separate web and database servers. What are you paying for? I Am The Great Portfolio! 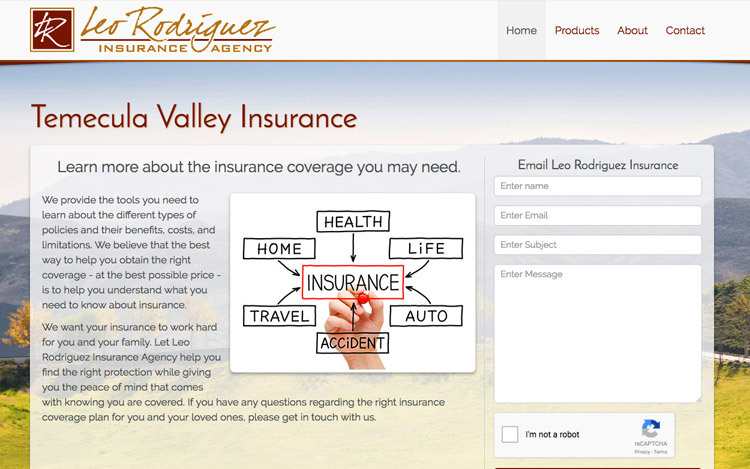 Albuquerque Web Design Client - Leo Rodriguez Insurance - full-service Insurance Agency committed to helping customers protect all their assets. 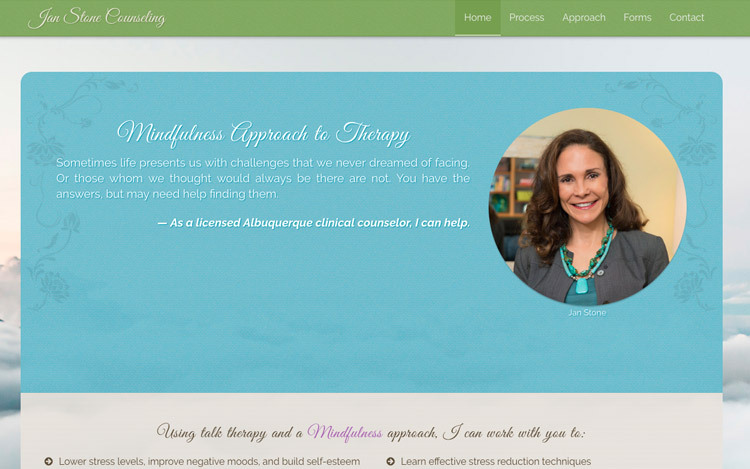 Albuquerque Web Design Client - Jan Stone Counseling - Jan Stone Counseling is a licensed Albuquerque clinical counselor that utilized the Mindfulness Approach to therapy. 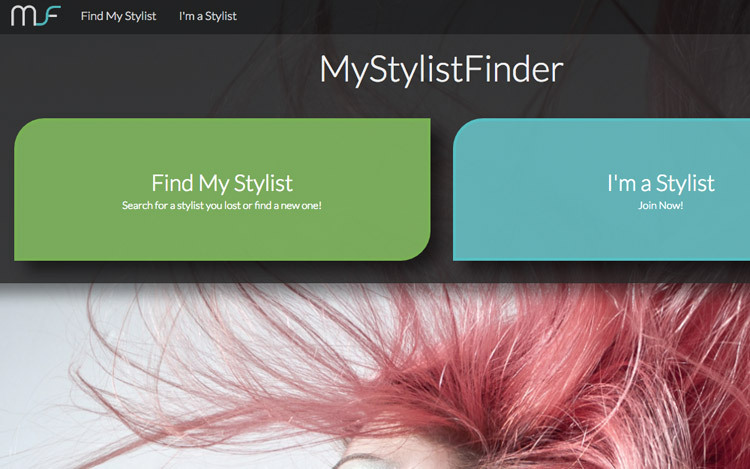 Albuquerque Web Design Client - My Stylist Finder - MyStylistFinder contacted us about creating a mobile app that gives customers a place to find new stylists or locate a stylist that has moved. We built this app from the ground up and integrated recurring billing for various subscription plans, geolocation stylist searching, stylist registration via social media or site, and stylist profile management. If you're looking for a hair stylist you've lost, give it a shot. 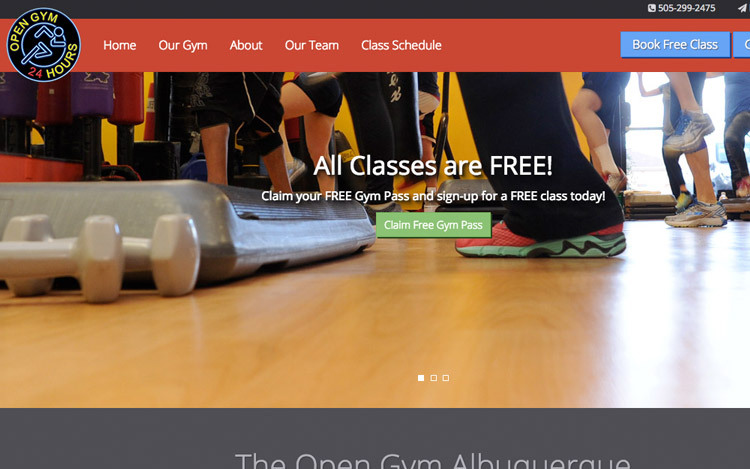 Albuquerque Web Design Client - The Open Gym - 24 Hour Gym in Albuquerque that contacted our local Albuquerque web design company for an overhaul. We designed them a clean, responsive website that utilizes a 3rd party API to display class schedules, staff bios, class reservations, and lead generations. 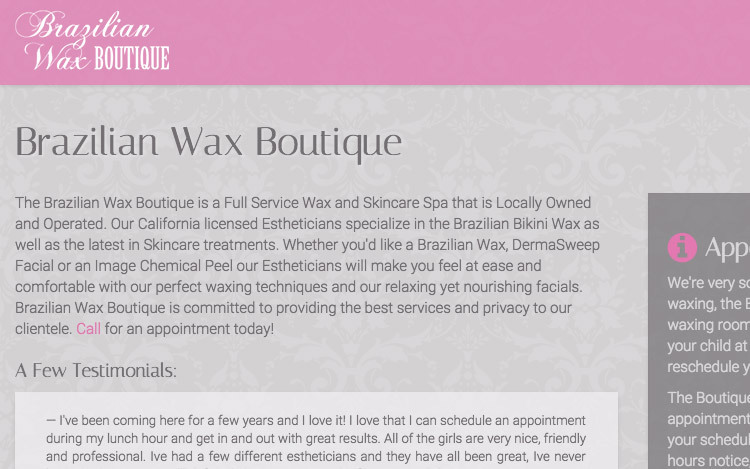 Albuquerque Web Design Client - Brazilian Wax Boutique - Full service waxing boutique located in Bakersfield California. 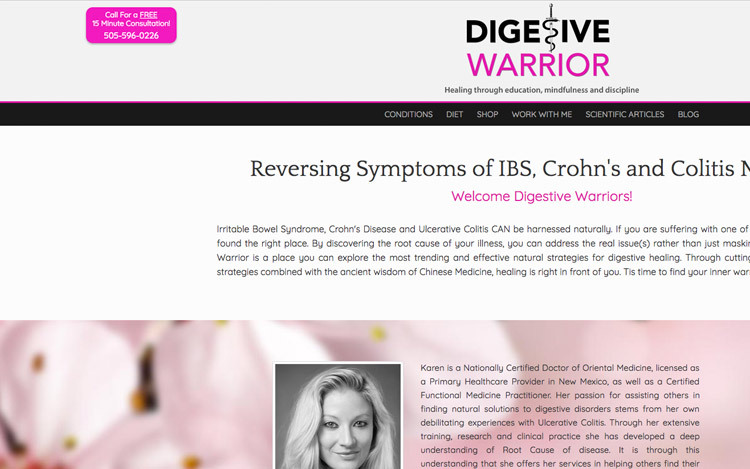 We recently updated the design and launched on a new platform. 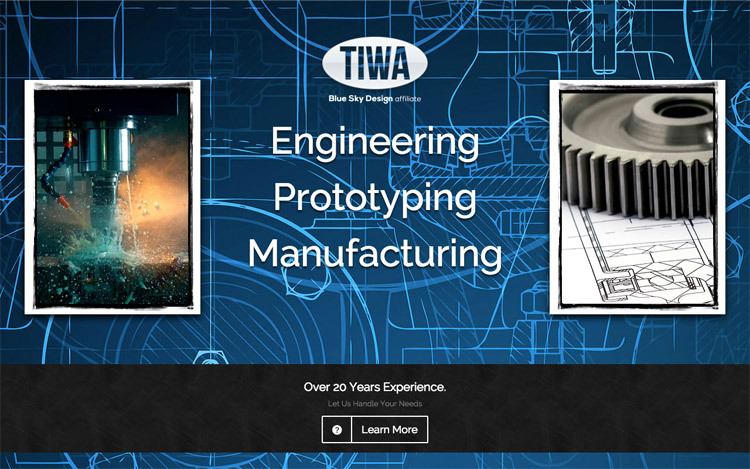 Albuquerque Web Design Client - Tiwa LLC - Offers engineering, manufacturing, and prototyping services to a national client base. 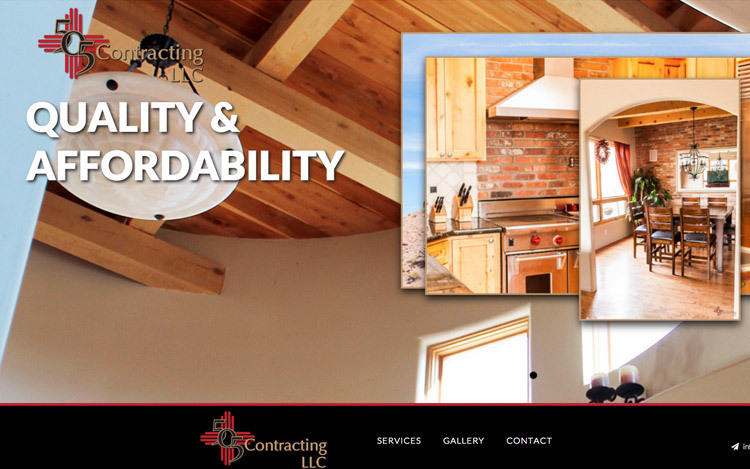 Albuquerque Web Design Client - 505 Contracting LLC - Offering remodel, renovation, and new construction services to New Mexico, 505 Contracting came to us looking for a web site that there potential customers could visit and immediately see examples of work and contact information. 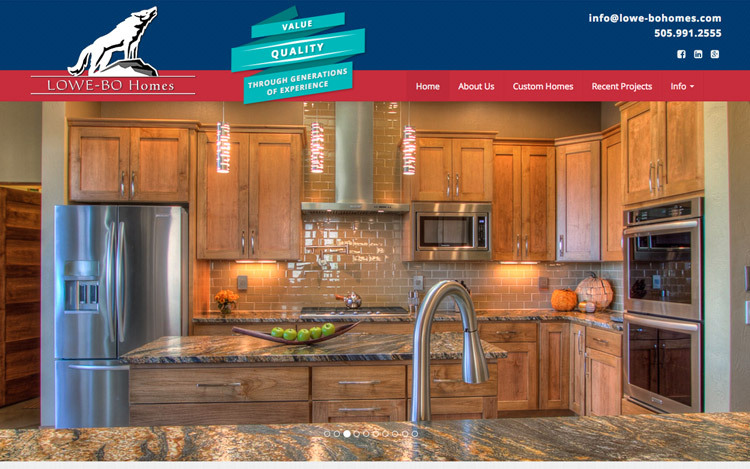 We set them up with a custom built, mobile friendly website that we continue to maintain. 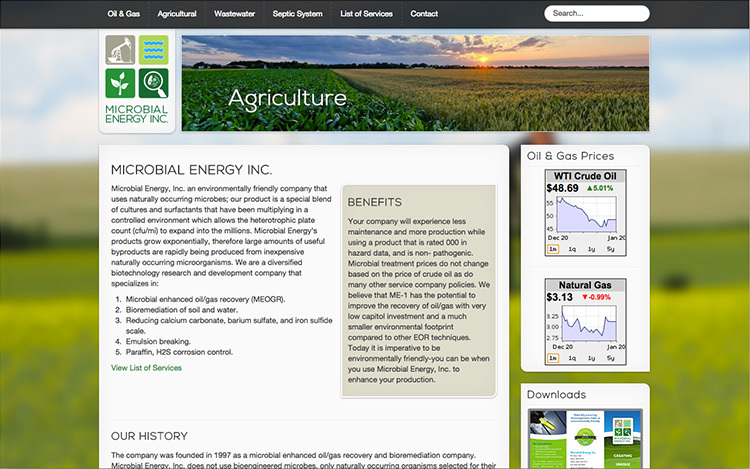 Albuquerque Web Design Client - Microbial Energy Inc. - Provides naturally occurring microbe products for oil/gas, waste water, and soil treatment. 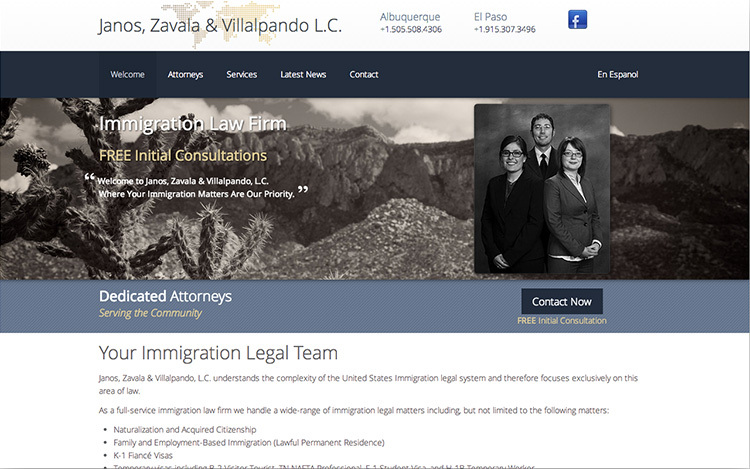 Albuquerque Web Design Client - Janos, Zavala, Villalpando L.C. 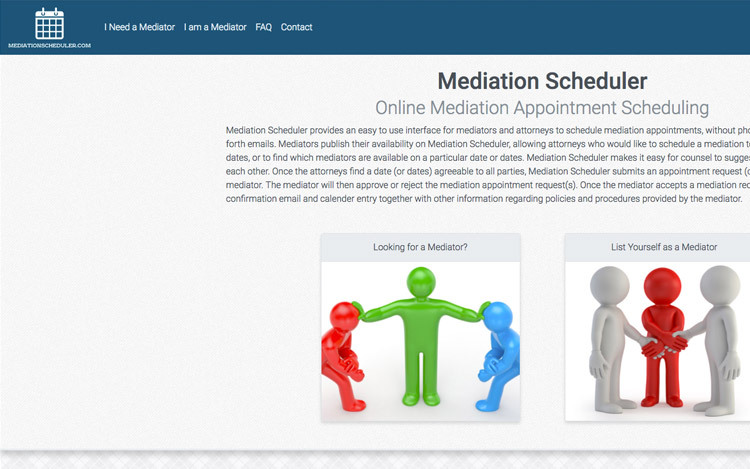 - Provides immigration legal services. The is an informative site intended for lead generation. 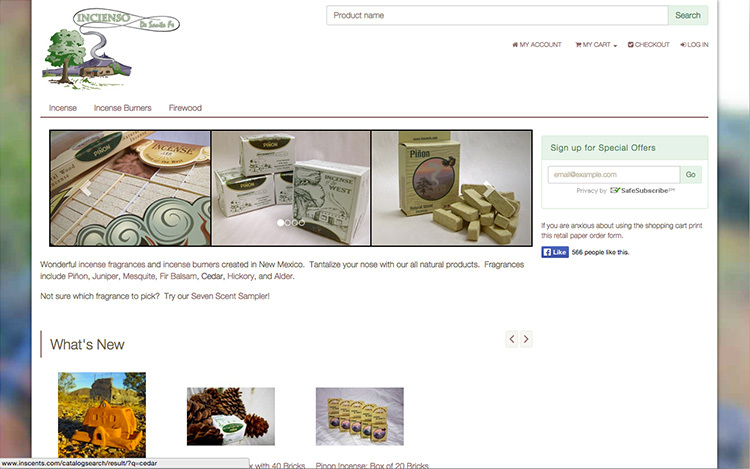 Albuquerque Web Design Client - Incienso de Santa Fe - Manufacturers natural incense and hand-painted incense burners, right here in Albuquerque. This is an e-commerce site. 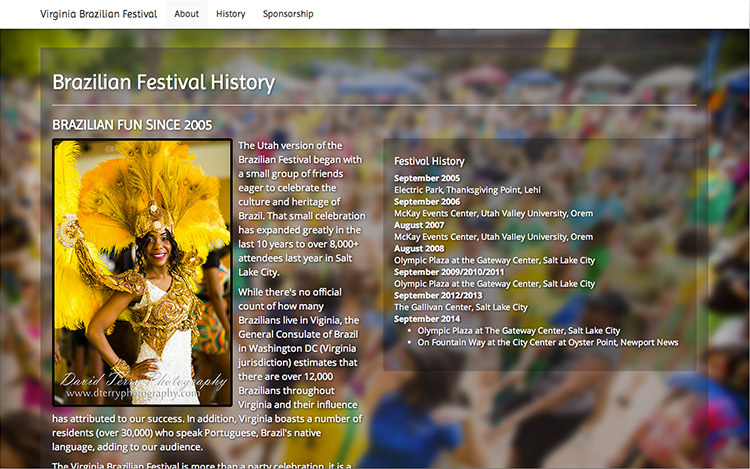 Albuquerque Web Design Client - Virginia Brazilian Festival - Informative site, offering event description, dates, and sponsorship opportunities via Paypal. 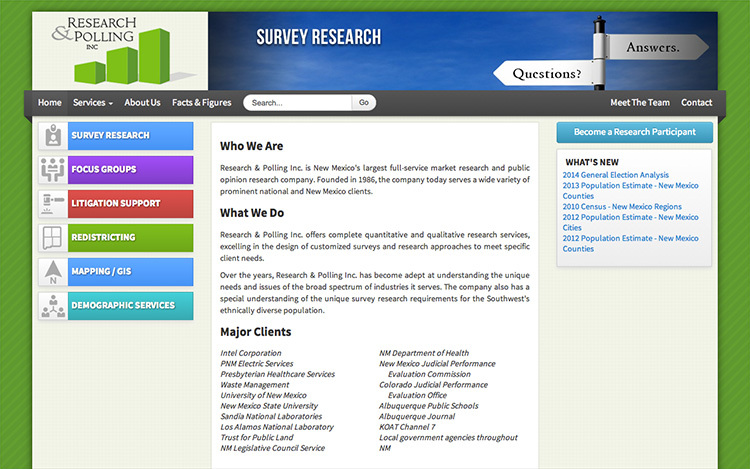 Albuquerque Web Design Client - Research & Polling Inc. - Offers market and demographic research services. This is an informative site intended to generate leads and participant sign-ups. 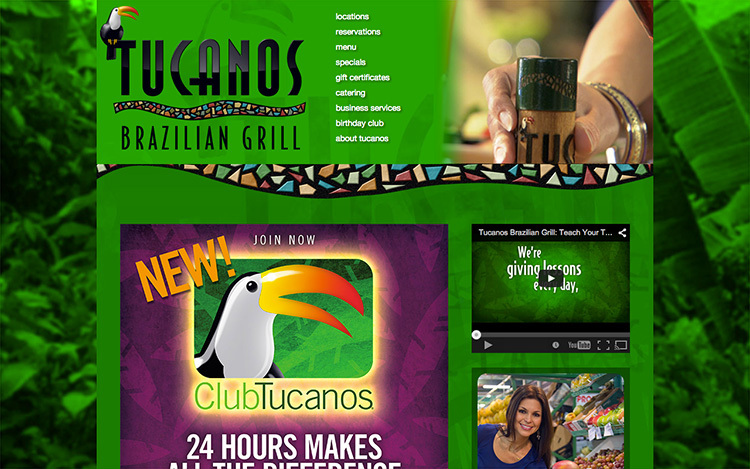 Albuquerque Web Design Client - Tucanos Brazilian Grill - Brazilian style restaurant, with multiple locations nationally. This is an informative site, offering menus, location information, current specials, and online membership management. 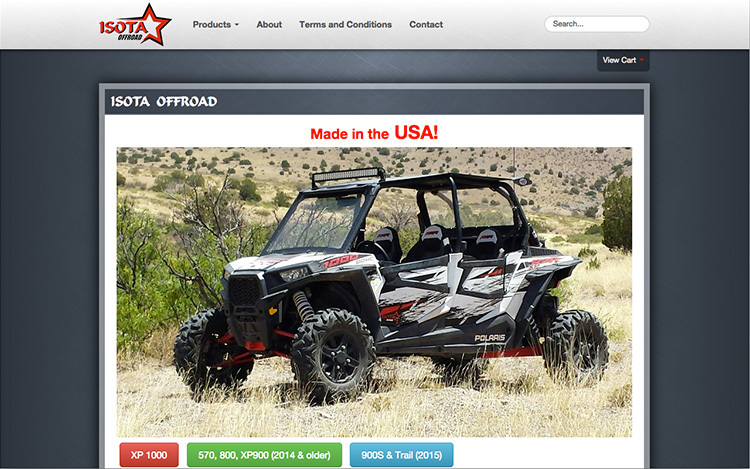 Albuquerque Web Design Client - Isota Offroad - Manufacturers aftermarket ATV parts, right here in Albuquerque. This site offers Paypal integration to provide online ordering. 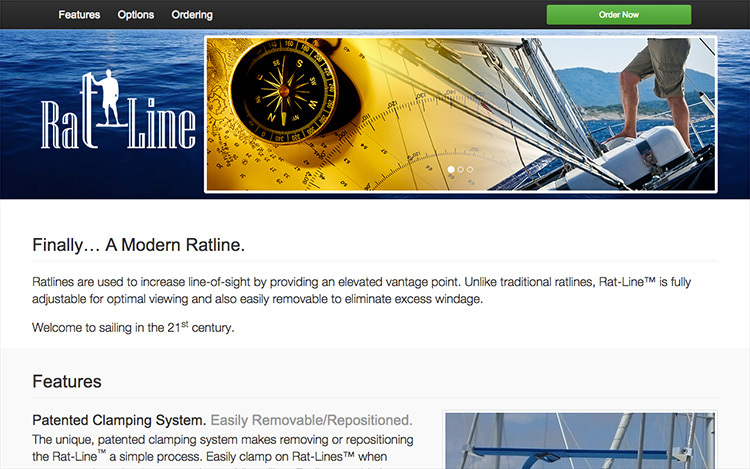 Albuquerque Web Design Client - Rat Line - Invented a high visibility, low windage ratline, right her in New Mexico. 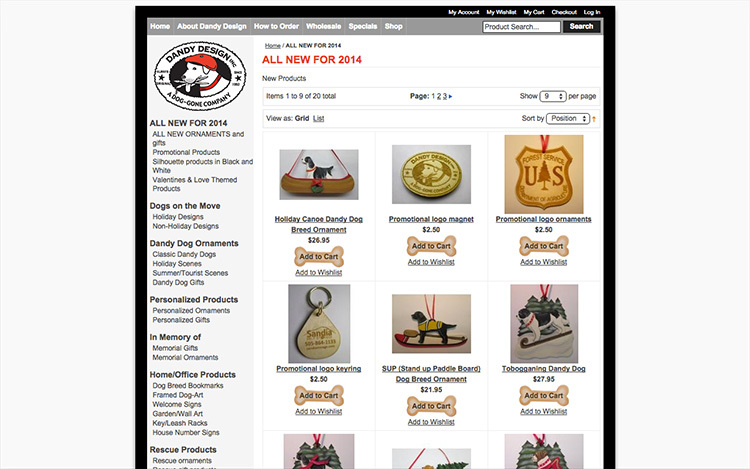 This site offers product information and Paypal purchasing abilities. 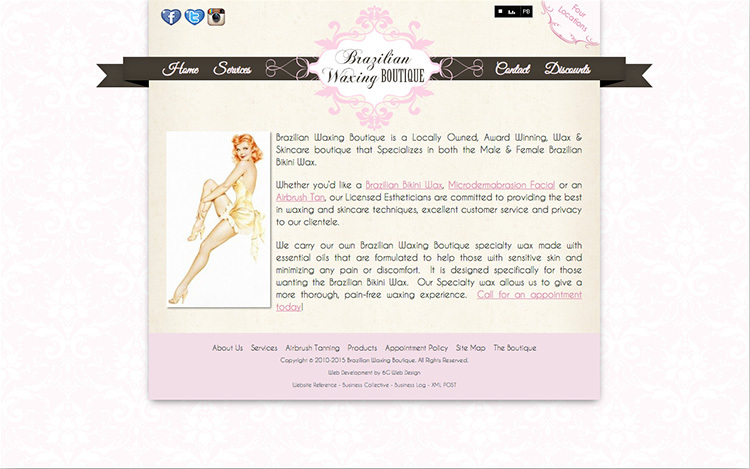 Albuquerque Web Design Client - Brazilian Waxing Boutique - Full service waxing boutique with locations in New Mexico and Colorado. This is an informative site intended for lead generation. 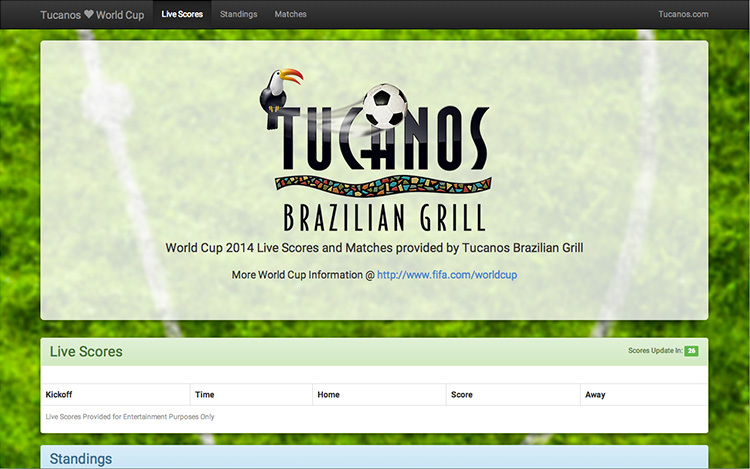 Albuquerque Web Design Client - Tucanos World Cup - Special landing page created for Tucanos Brazilian Grill's World Cup promotion. This site featured realtime scores, standings, and team information. 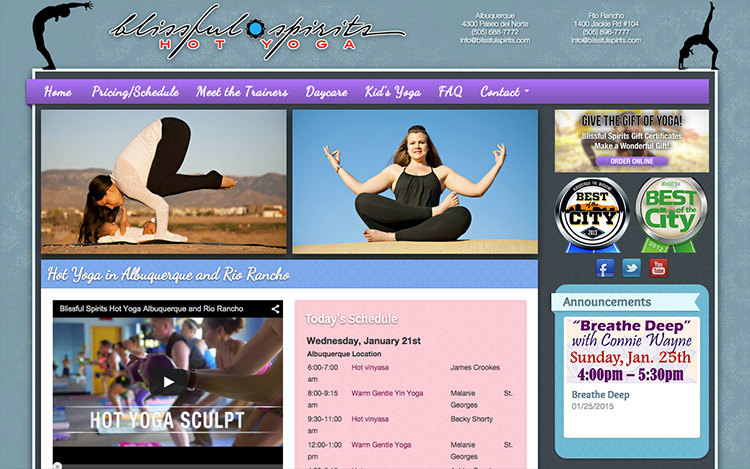 Albuquerque Web Design Client - Blissful Spirits Hot Yoga - Rio Rancho and Albuquerque Yoga and Pilates studio with full amenities. The is an informative site that offers realtime schedule updates, teacher profiles, and announcements. 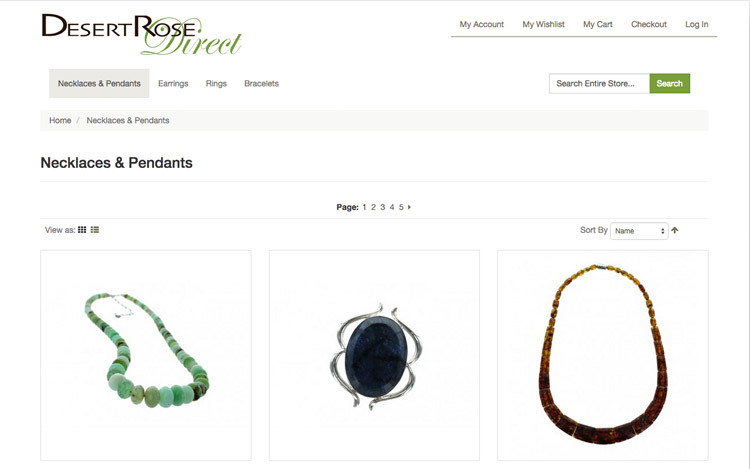 Albuquerque Web Design Client - Desert Rose Direct - Offers handcrafted jewelry, made with unique gemstones. This is an e-commerce site. 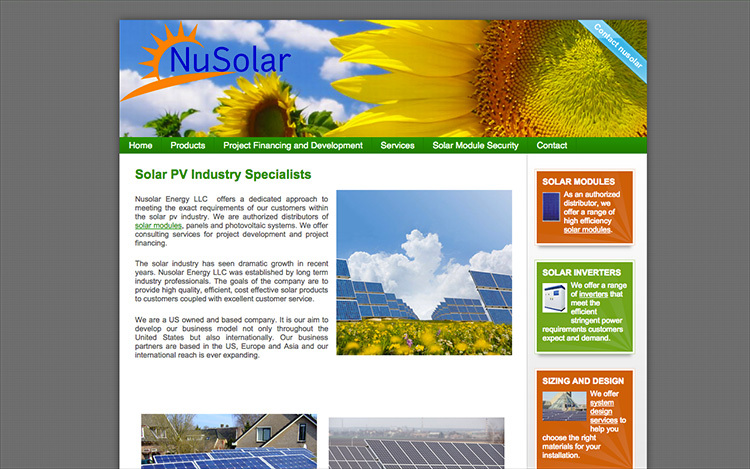 Albuquerque Web Design Client - NuSolar - Solar module distributor. This is an informative site, intended for lead generation. 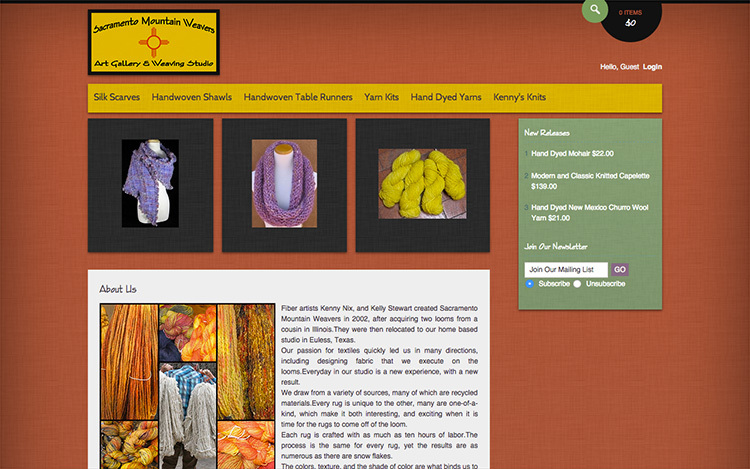 Albuquerque Web Design Client - Sacramento Mountain Weavers - Manufactures handwoven and hand-dyed fabric products, right here in Albuquerque. This is an e-commerce site. 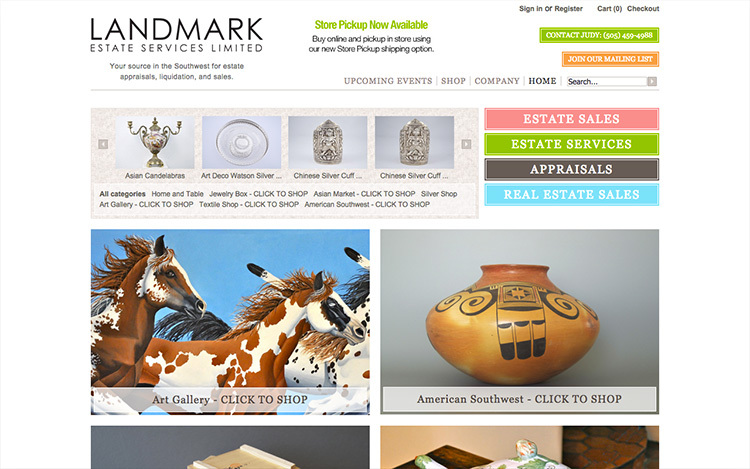 Albuquerque Web Design Client - Landmark Estate Services - Offers estate sale, appraisal, and real estate services. This is a multipurpose site that intended for lead generation and online sales of warehouse inventory. 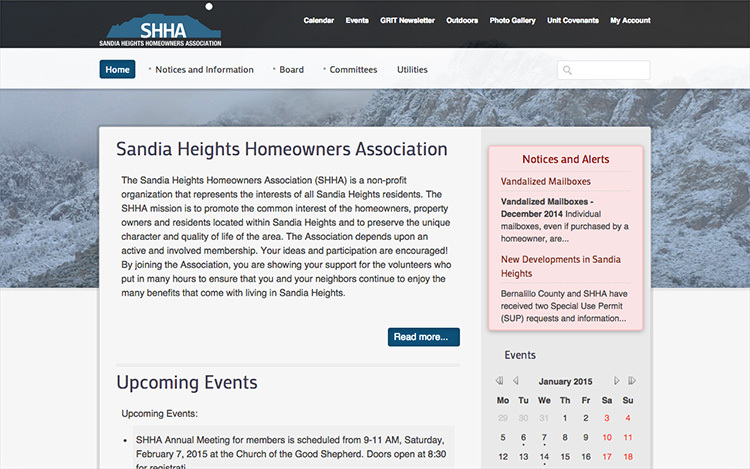 Albuquerque Web Design Client - Sandia Heights Homeowners Association - Informative site, offering member forms, registration, announcements, and events. We also moved their migrated their member database from Microsoft Access to an online database. 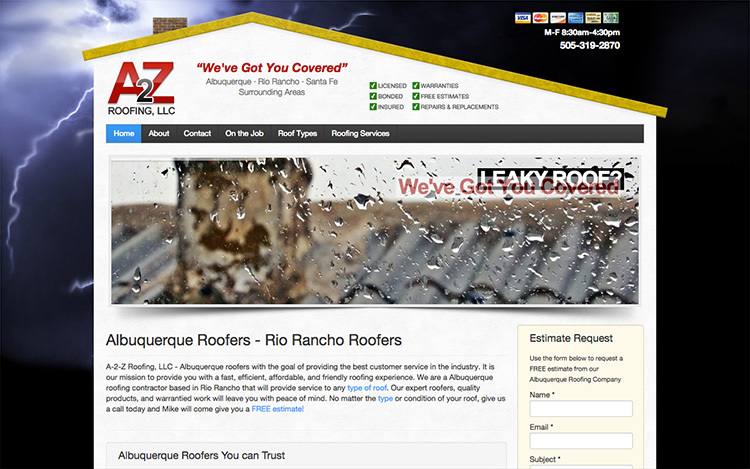 Albuquerque Web Design Client - A2Z Roofing - Provides roofing services in Albuquerque and surrounding areas. This is an informative site created for lead generation. 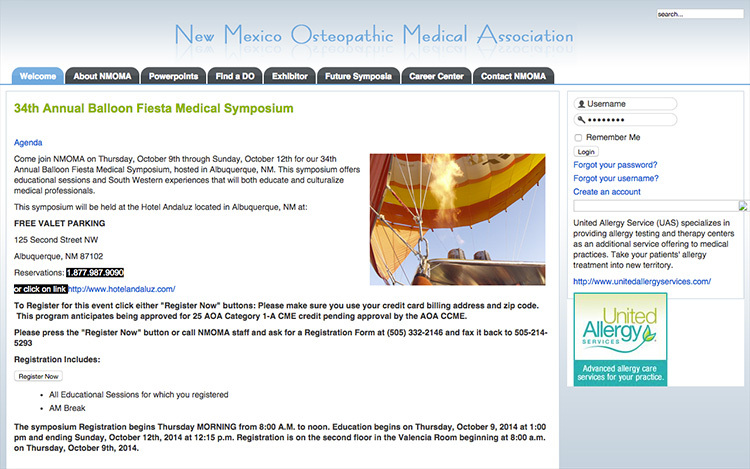 Albuquerque Web Design Client - New Mexico Osteopathic Medical Association - Organizes CME symposiums, physician directories, and career opportunities in New Mexico. This is an informative site intended for lead generation. 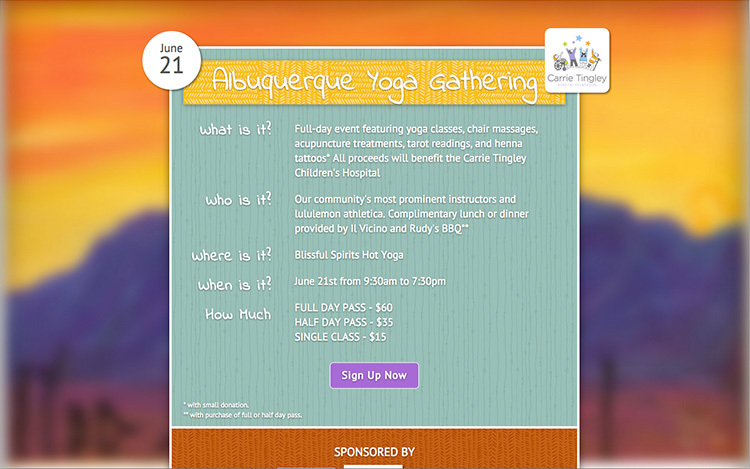 Albuquerque Web Design Client - Albuquerque Yoga Gathering - Single landing page setup to direct participants to the signup form. 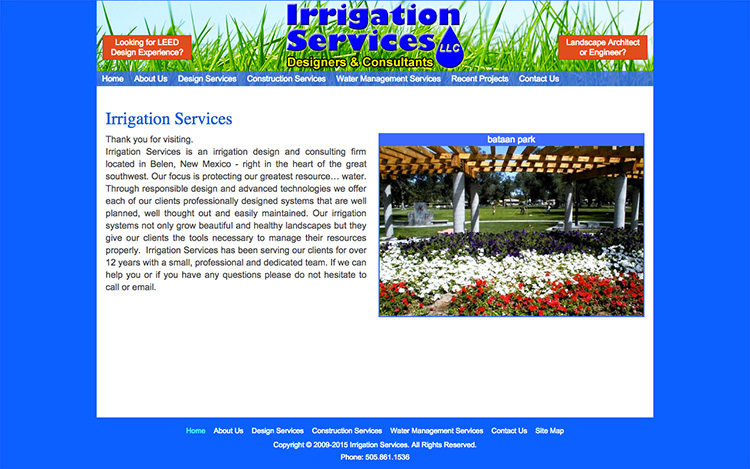 Albuquerque Web Design Client - Irrigation Services - Offers irrigation and GPS mapping services in New Mexico. This is an informative site, intended for lead generation. 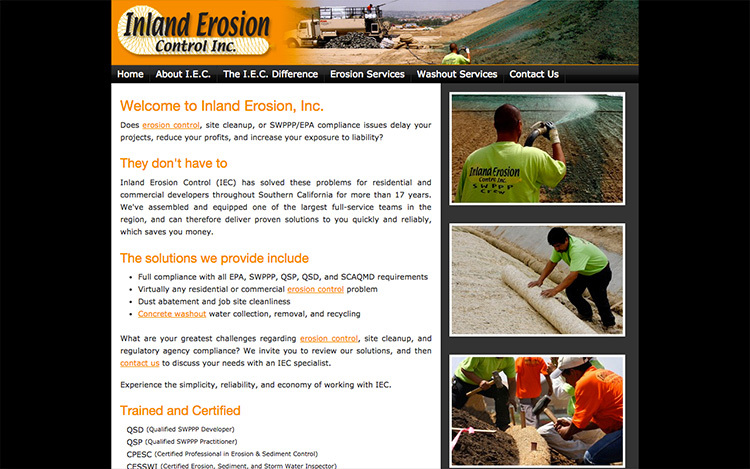 Albuquerque Web Design Client - Inland Erosion Control - Offers erosion control services in California. This is an informative site intended for lead generation. 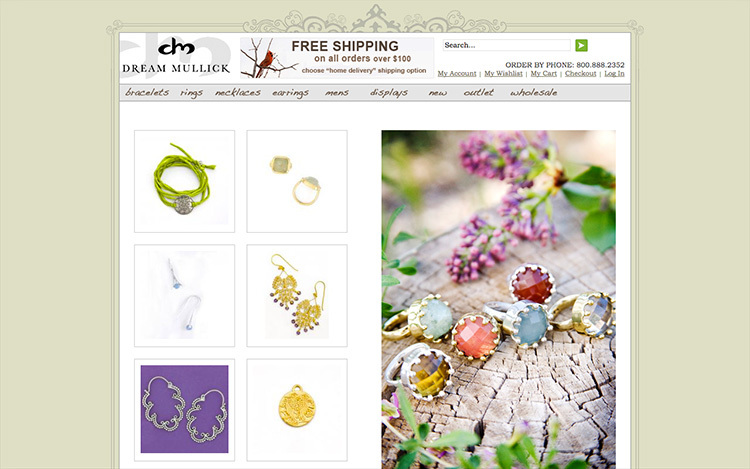 Albuquerque Web Design Client - Dream Mullick - Offers handcrafted jewelry, inspired by the beauty of nature. This is an e-commerce site. 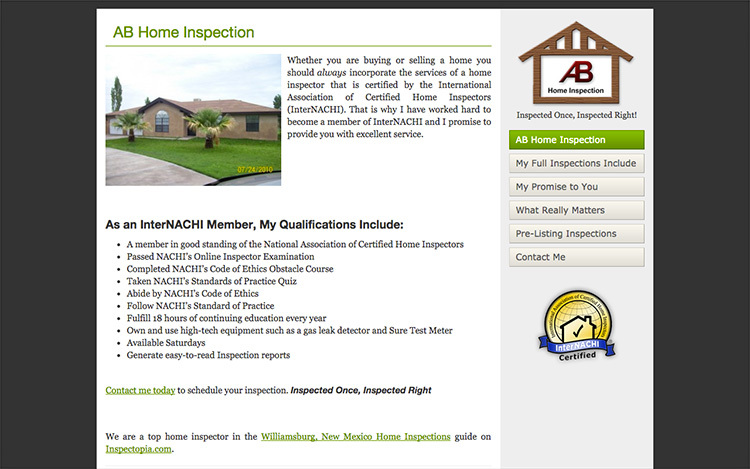 Albuquerque Web Design Client - AB Inspection - Provides home inspection services in Southern New Mexico. 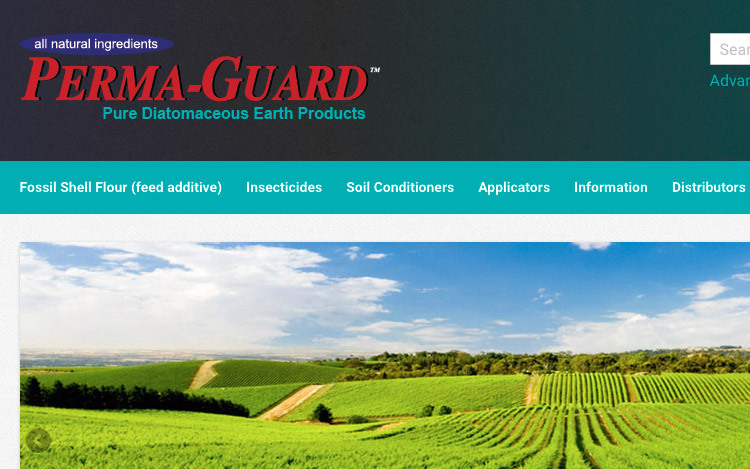 This is a brochure site intended for lead generation. Hi, I'm Ryan Showers and I'm the owner of 6G Web Design. I'm a normal, easygoing dude that enjoys spending quality time with my wife and two boys. I've also been known to loudly rock the guitar in my spare time. Ryan Showers is the orchestrator at 6G Web Design. He designs and develops every website that 6G Web Design produces - no outsourcing or subcontracting. 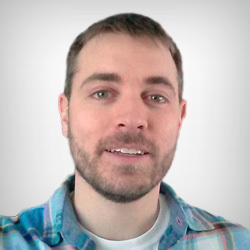 Ryan created 6G Web Design in 2006 and has slowly built an interesting and unique client base. Ryan enjoys learning the inner workings of each client's business and creating solutions for online integration. Copyright © 2006-2019 6G Web Design, an Albuquerque Web Design Company. All Rights Reserved.